Like many communities across the county, the East Bay Area region is veritable hive of businesses, homes and schools. There are a lot of folks flowing in and out of those places every day. There are also a significant number of visitors who make their way to the East Bay region to enjoy many of the fine restaurants, museums and other cultural activities in towns like Berkeley, Oakland and Alameda. Now consider this fact: it is estimated that every single person generates up to four pounds of garbage each day. Those four pounds represents all the stuff we throw away like coffee cups, soda bottles, fast food wrappers, newspapers, magazines, junk mail and whatever we toss out after cooking dinner. Break it all down like that and you can see how quickly that amount adds up. Then there is an entirely different category of garbage that we are each responsible for. That would be all of our junk. Isn’t junk really garbage? Actually, for the purposes of this discussion, the junk is best described as all those things that can’t fit into a garbage can. Let’s face it; if this junk could easily be tossed out you would have probably already have thrown it away. No, these are the big ticket items like old pieces of furniture that have outlived their purpose. It could also be a broken piece of kitchen equipment like a fridge or stove that you replaced but didn’t get the previous model taken away. This big junk could also mean those unusual items that have somehow made it into your home, but don’t serve a function now. This could be random items like a banged up surf board, a stuffed moose head or any other kind of crazy thing. Isn’t it time to say good-bye to this junk? 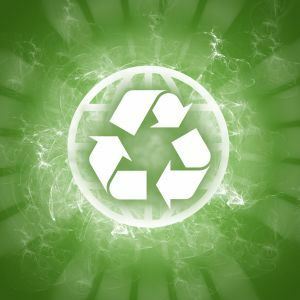 If you take full advantage of an East Bay junk recycling company like Junk King, not only will they be able to clear out all of this garbage, but they’ll also ensure that it is being disposed of at the proper recycling facility to keep the Bay Area green. The East Bay Area has long been leading the charge on eco-friendly practices. That’s why other towns come here to see how we handle all the recycling needs of the community. It all comes down to a matter of understanding that whatever can be prevented from ending up in a landfill is a good thing. Recycle, repurpose and reuse is the rallying cry that got its start right here. Once you’re committed to recycling then everything is on the table including our junk. The experienced junk recycling crew will be able to identify those items in your home that hold the most potential for reuse. You don’t have time to figure out where to take your metal products versus your e-waste versus your foam mattresses. Let the pros that make it their living handle all of that sorting. You focus on having a clean life and they’ll focus on making sure junk isn’t a part of that life! For the best in East Bay junk recycling, call Junk King Alameda at 1-888-888-JUNK or book a free on site estimate online. This entry was posted in Berkeley Recycling, East Bay Junk Removal, East Bay Recycling, Junk King Alameda, Oakland Recycling and tagged berkeley junk recycling, Berkeley Recycling, east bay junk recycling, East Bay Recycling, eco-friendly junk removal, oakland junk recycling, Oakland Recycling on March 14, 2011 by Junk King. Last updated August 4, 2017 .